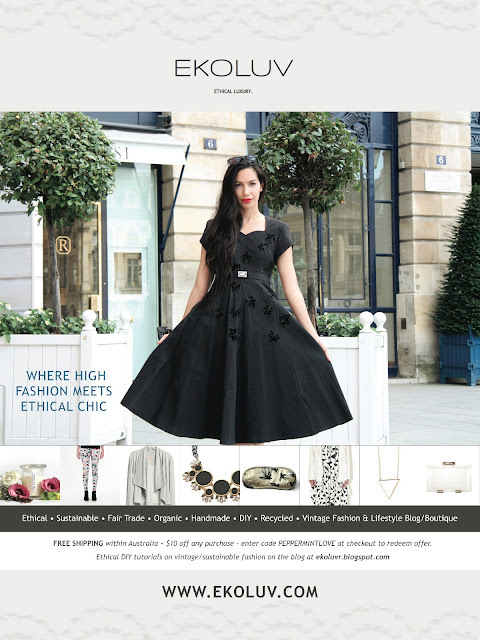 Are you a sustainable fashionista? Do you find yourself being conscious with your fashion and lifestyle purchases? Then this event is for you! If you don't already know about Undress brisbane then you should. Undress Brisbane is a sustainable fashion runway and there mission is to showcase Brisbane's sustainable design scene. What are you wearing? If you’re unsure where it was made, what it is made of, or where it will end up; take it off. Undress Brisbane challenges you to assess the sustainability of your wardrobe. The runway shows feature established and emerging sustainable designers. Think ‘no-waste’ collections, ‘food dyed’ garments, natural fibres, ethically sourced and unique pieces made from ‘off cuts’. Vintage items from the local area also make their way into the show. Their aim is to motivate Brisbane fashion consumers to change the way they shop. One billion items of clothing are imported into Australia every year (from China alone). There are only 22 million of us. Where does the excess go? For every person in Australia, 32kg of clothing ends up in landfill. - Sustainable design exhibitions. Organic cocktails. Live music. - All housed in a unique setting that will take you away from a Valley car-park and into an avant-garde, underground fashion scene. - This is an 18+ event. - Drink responsibly, dress sustainably. - After-party at Oh Hello from 10 PM. They will also be hosting a pop-up shop after the event were you can buy sustainable fashion from the night, visit their facebook page for details. EKOLUV is delighted to collaborate with Undress Brisbane and will be reporting on these upcoming events, stay tuned for another post about the night and pop up shop. Will you be going to these events?